I could write an entire article about how much I admire Allison Patel. She’s a blogger at www.whiskywoman.com, entrepreneur, and a whiskey lover. 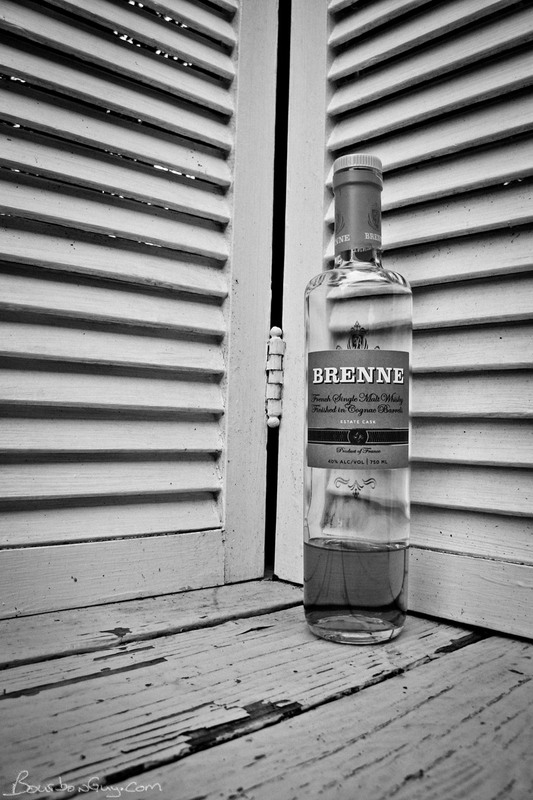 She is also the person behind Brenne, a French Single Malt finished in ex-Cognac casks. It’s no secret that I love the people associated with craft spirits. I love the passion and the drive to create something new and innovative. The desire to not only bring people something they haven’t had before, but something that they will want again. In the world of craft spirits, it is commonly held that there are two categories. There are the distillers and the non-distillers. And while this is true, it is simplistic enough of a categorization that non-distillers often all get painted with the same brush. And this isn’t a good thing, necessarily. Certainly there are a lot of folks who just go buy something and pretend that it is their own product. But there is another whole group that I would call curators. They find/think up/get their hands on a good product, release it to the world and are justifiably proud of it. This is Allison. She exports American craft products to the world and imports a fantastic French Single Malt to the US. I love supporting small businesses. Yes, I shop at Wal-Mart, Target, Amazon and Best Buy. I buy my groceries from one of the many SuperValue brands that happen to inhabit the Twin Cities of Minnesota. But I will go out of my way to support a small business if I can. I visit my local hardware store for everything other than a big project. I shop at small local liquors stores about 75% of the time. I like supporting small businesses for the same reason I like supporting craft spirits (also small businesses). Passion and a commitment to what they are doing that you can’t get at Target or Wal-Mart. So it was with great excitment that as I was searching the Binny’s website before my last vacation I saw that Brenne was in stock in one of the stores I would be passing. I’d been reading about it for a while. the story was facinating and the product sounded intruiging. The main problems were that it wasn’t available in Minnesota and to that point, I hadn’t yet found a malt whiskey that I’d prefer over a bourbon. But I love supporting passion and Allison seemed to have that in spades. So when I saw it on the shelf, I had no hesitation about picking it up. Mouth: Slightly syrupy with an initial burst of heat. Subsequent sips follow the nose with strawberry, melon, peaches and honey. Finish: Lingering fruitiness along with bitter grapefruit pith. Thoughts: This qualifies as the first single malt that I liked instead of just tolerating. It is really sweet and as a bourbon drinker, I would like to see that balanced with a bit of spice. But that is just preference. This one is a winner and I plan to pick up another bottle next time I see it. So ordinarily, this would be the end of the story. I’d pack up my keyboard and get ready to submit this article. But a while back, I noticed a similar melon note between this and the Old Forester Single Barrel that I have open. The rest of the flavors were different, but it got me to thinking. I wonder what these would taste like blended together. Based on the fact that I have multiple bourbons open at one time and that I have a short attention span, I combat the inevitable need to open a new bottle by trying to blend the ones I already have open and see if anything interesting shows itself. And this time, boy did it. Thoughts: This was a really fun experiment. Having tasted both of these seperately before mixing them, it was cool to distinctly taste both of them in the blend. I found it odd that the melon note that brought them together in my head really only presented itself in the finish after blending them together. They played together very nicely though. And though it was not more than the sum of it’s parts, it was another cool way to experience them. Brenne brought fruity sweetness and Old Forester Single Barrel brought richness and spice. I liked it a lot and will be going back to it on occasion.